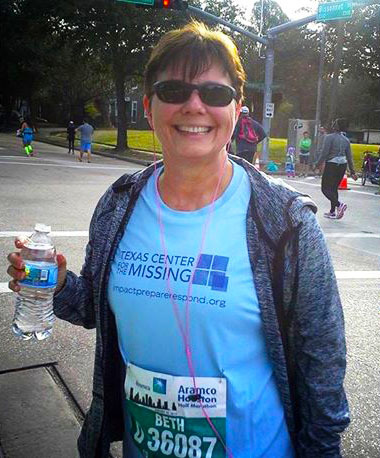 We are so excited to announce that Texas Center for the Missing was once again selected as an official charity for the 2015-2016 Chevron Houston Marathon Run for a Reason charity program! This amazing program has inspired us since our first race in the 2007-2008 season and we are excited to once again train and fundraise with our dedicated runners. Over the past 8 years, our runners have raised over $133,500 towards Texas Center for the Missing’s life-saving programs – this kind of financial support that is organizationally transformational! We want to also send out a special thank you to our 2014-2015 HERO and Fundraising for Registration runners who rallied to the cause through group runs, community fundraising events, and an outpouring of support. Thank you to each of you for making our 2014-2015 race season so much fun, and we look forward to running with you in the coming years! Join us on January 17th, 2016, for the race of a life time! The Run for a Reason program offers guaranteed ways to enter the Chevron Houston Marathon and Aramco Houston Half Marathon without having to enter the lottery. Starting on May 6th for HERO entries and June 3rd for Fundraising for Registration entries, a limited number of guaranteed charity entries will be available on a first-come, first-served basis. You can learn more about the Run for a Reason charity program here. “HERO” charity entries enable runners to make an upfront, tax-deductible donation of at least $350 to an official Run for a Reason charity of their choice, plus the cost of registration, to secure a guaranteed race entry. Individuals can also purchase a guaranteed entry for someone else through the “Gift a HERO” program. “Fundraising for Registration” charity entries give runners an opportunity to fundraise for an official Run for a Reason charity of their choice and receive a guaranteed race entry. Participating charities set their own fundraising minimums and deadlines, and runners should contact the organizations directly. If you would like to learn more about how you can run for Texas Center for the Missing, you can contact us via our online contact form or email support@tcftm.org. 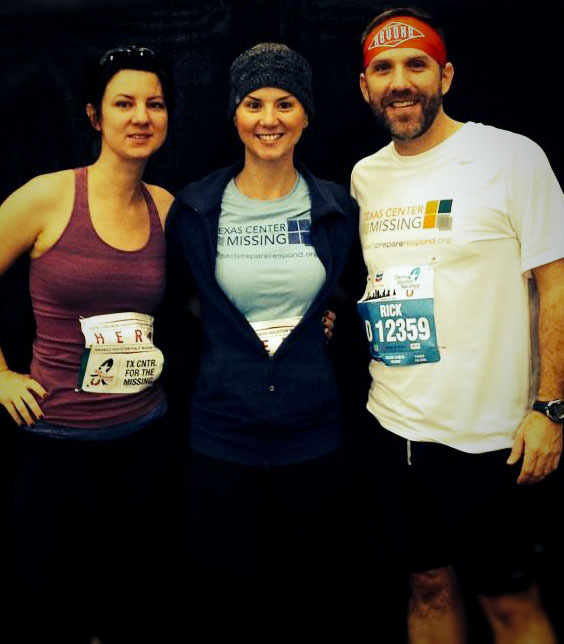 Want to run and fundraise for Texas Center for the Missing without signing up for the marathon just yet? Join everydayhero to set-up a mobile ready fundraising page integrated with your MapMyFitness account! #iworkoutbeCAUSE 30-Day Charity Challenge. Sign-up, fundraise at least $150 for TCM, and at the end of the challenge the charity with the most participants will win an additional $4,500. There’s no better exercise motivation than knowing that your sweat is helping missing children and searching families! Learn more and sign up for everydayhero here. Get Safety Savvy! Our Most Successful Golf Challenge for Children Yet!